1 futurama | This Blog Rules | Why go elsewhere? 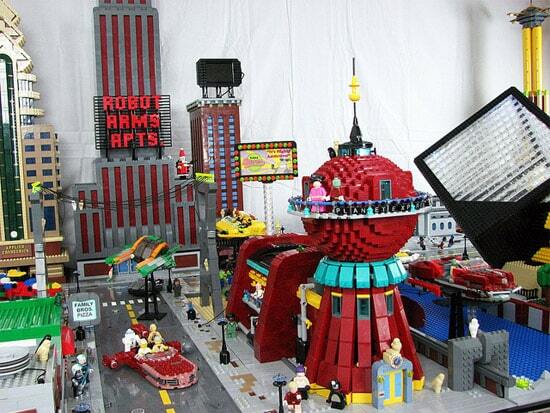 The popular American sci-fi sitcom Futurama has been the inspiration for artist Matt De Lanoy when he built this mini version of New York in legos. Spending two years on this project called World of Tomorrow, he managed to built several known building structures from Futurama, and to install lights so it can be viewable at night as well.